Germany's capital has been moved from Bonn back to Berlin, but industrial Frankfurt is still the city that you are most apt to fly into. More international flights land there than at any of the other airports in the country. 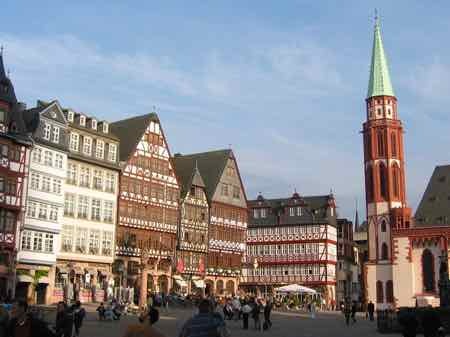 So Frankfurt may not be your ultimate destination in Germany... but it is worth a visit. You have two choices on arrival. Or immediately get out of town. I have to admit, we've used it as a gateway to Germany more often than we've stayed in town, but the Altstadt is worth seeing. 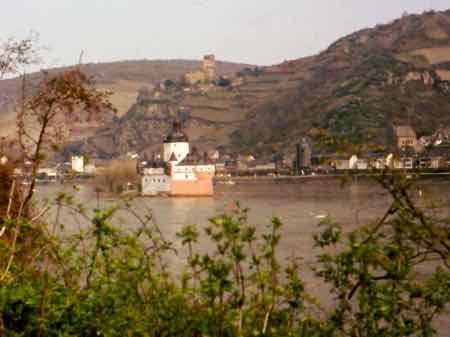 To get out of town, you can rent a car and easily get to the Rhine and Mosel areas of Germany. The Romantic Road isn't far away. Or you can catch a train from the airport into town and get almost anywhere from the huge 19th century railway station in town. Like many cities in Germany, Frankfurt was bombed during WW II. Nearly all of its old half-timbered buildings were destroyed. The city was rebuilt with a mixture of modern and traditional architecture. Some of the old buildings were faithfully restored. You can take a leisurely day to explore the old town -- the Altstadt. It's a great way to get over jet lag and still get something out of your first day on a trip. Before WW II it was a great historic town, and with the rebuilding, there are still historic things to see. See the Gothe Haus, the birthplace of the 18th century writer Gothe. The Romerberg area is the historic center of the Altstadt. There are three old houses connected together that are called the Romer. These houses were originally built in the 13th century. About a century after they were built, they were bought by the city, interconnected, and used as the city hall -- the Rathaus. On the second floor is the Imperial Hall -- the Kaisersaal which you can visit on a tour. The wonderfully elaborate front of the Romer overlooks the Romerberg Square -- Romerplatz. There are many other reconstructed half-timbered houses in the area. You can't miss the Church St. Bartholomaus which is also in the Altstadt. This church is sometimes referred to as the Dom (the cathedral), but it isn't truly a cathedral. The main construction was from the 13th to the 15th centuries. It was destroyed during WW II but resorted to it's former glory. There is one altar remaining from the church's original interior called the Altar of Mary Sleeping - the Maria Schlafaltar. It was carved in the 15th century. One interesting fact is that in the 14th century, the Dom was selected to be the electoral site for the kings of the Holy Roman Empire. Several coronations took place here. In the Dom Museum you can see some of the robes of Imperial Electors. Some date from the 14th century and give you an idea of how ornate they were. There are several museums on the south bank of the Main River. The most important art museum is the Stadel Museum. It contains paintings from most eras of European painting from early Flemish and Dutch masters, to German painters to Impressionists. Other museums are nearby, and this south bank of the river is sometimes referred to as the Museum Embankment. Most of what you probably want to see can be reached on foot. Nearly all the tourist type sights are within the old town walls. You can get around the city by subway, trams and buses. Consider a Frankfurt Card - Frankfurter Tageskarte - which will get you on public transportation and into museums. 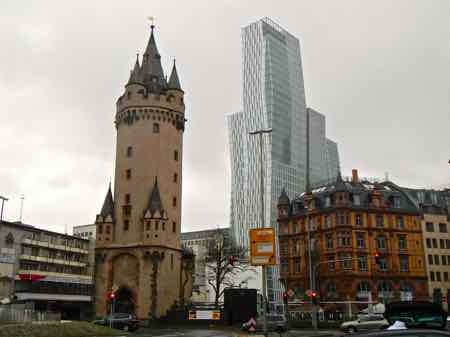 So when you fly into Frankfurt Airport, consider spending a day in the city. It might just surprise you with what it has to offer.